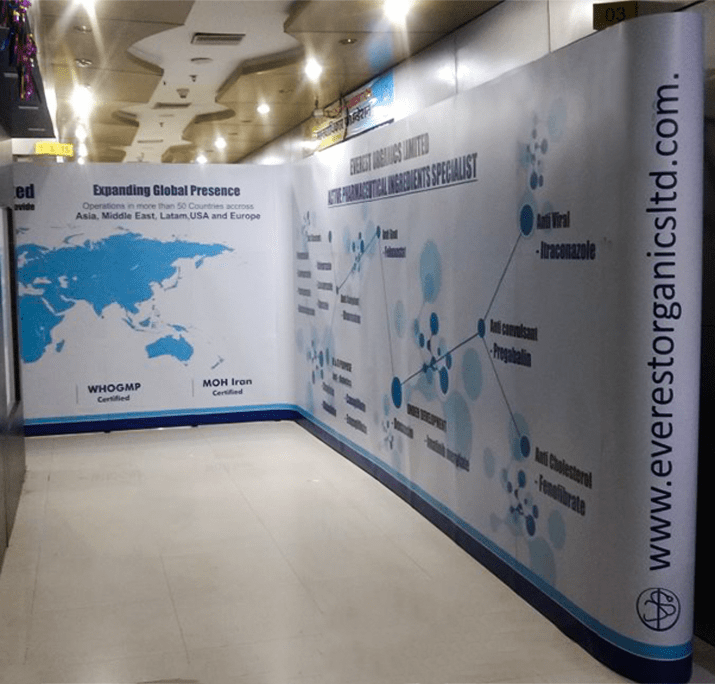 Do You Have A Exhibit Project We Can Help With? 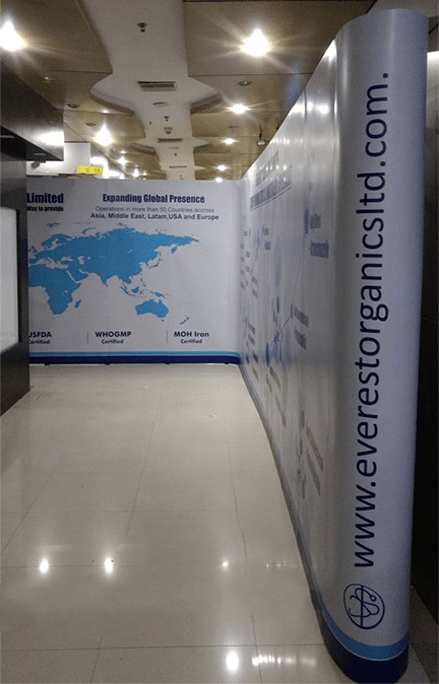 Portable Exhibit Setup for Everest Organics at CPHI Worldwide Exhibition at Frankfurt for Booth Size 6 Meter x 5 Meter. 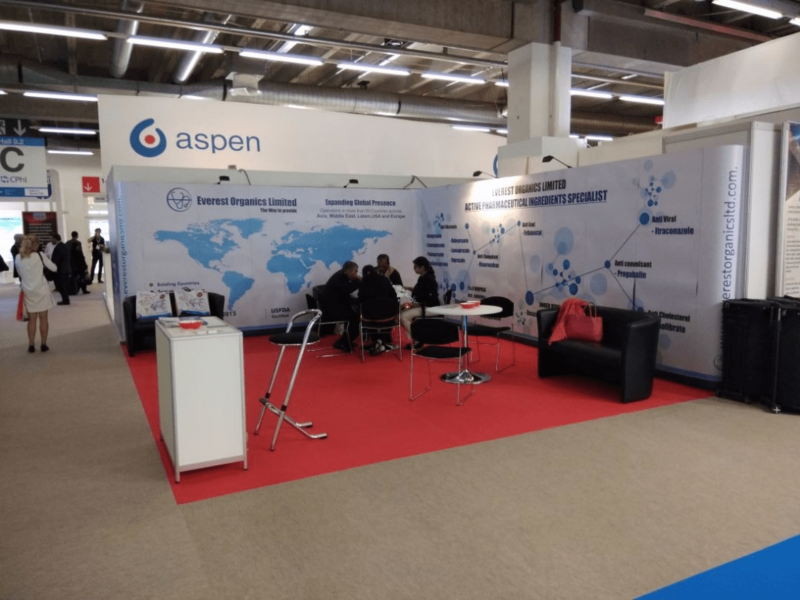 CPhI Worldwide, together with co-located events ICSE, InnoPack, P-MEC and FDF, hosts more than 45,000 visiting pharma professionals over three days. 2,500+ exhibitors from 153 countries gather at the event to network and take advantage of more than 150 free industry seminars. Every sector of the pharmaceutical market is represented under one roof, this year in Frankfurt. Attending CPhI Worldwide is the most cost effective way to establish new business relationships, meet with global partners and stay updated on the latest industry trends. Below Details Will Help Us Give Your Faster Proposal. We are specialists in Exhibits & Brand Solutions Incorporating widest range of Products - Services to Support all Brand Applications.We pride ourselves on delivering outstanding quality and design for leading clients across the world.